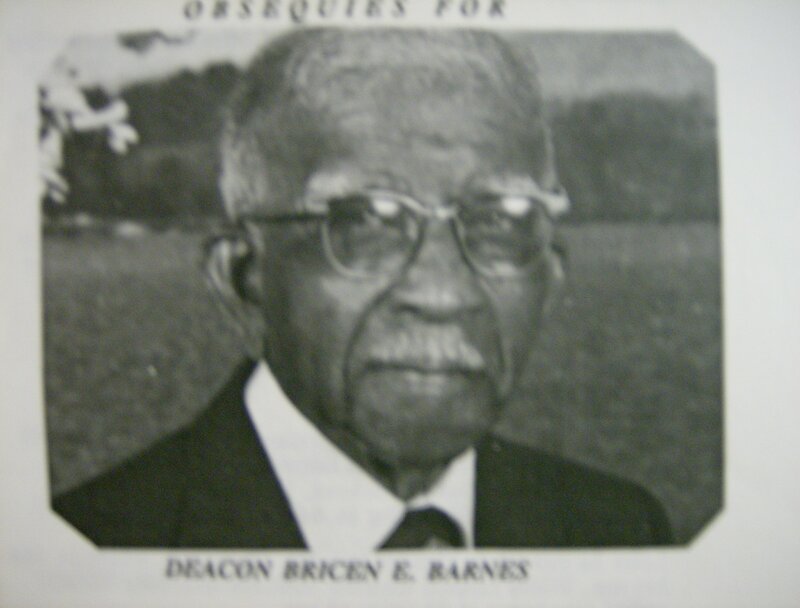 Bricen Barnes was the fourth child of Davis John and Martha Foulks Barnes. He was born on Dec. 25, 1896 in Saluda, SC. As a young man he married Shaddie Barnes. To this union was born two girls, Ruth and Oseola and two boys, Willie and Edward. He also had another daughter, Sidney, she predeceased him. He relocated to Arlington, VA in seeking a better means of taking care of his family. During this period he worked as a carpenter and worked for the Federal Reserve in Washington, D.C. where he retired after many years of service. He later married Levina Elkins who predeceased him and a had a stepdaughter named Beryle. He worked tirelessly at the Highview Park Holiness Church for many years in sharing his talents as a carpenter, superintendent of Sunday School, Deacon and servant to anyone in need while living in Arlington, VA.
Later he moved to District Heights, Maryland, where he and his son, Willie resided together until his death at age 98. 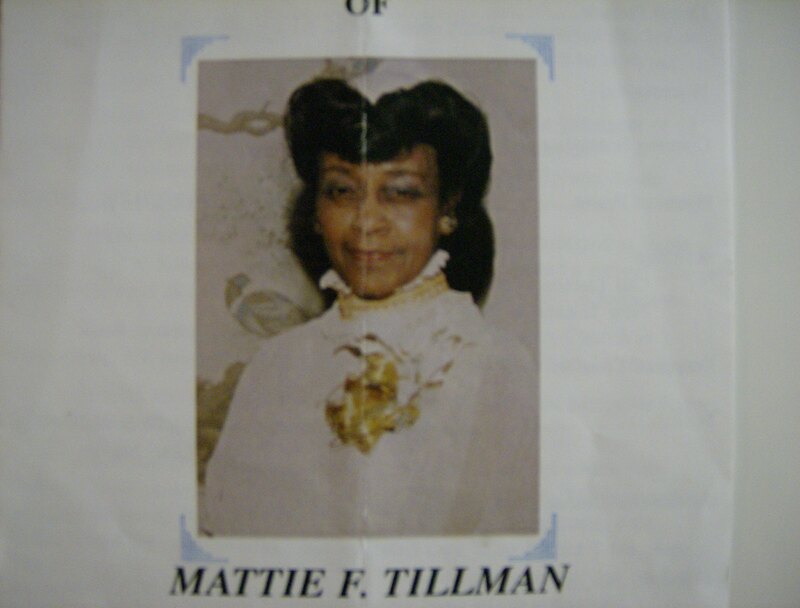 Mattie Tillman was born of January 9, 1913; the youngest of 11 children to the late Davis John and Martha Foulks Barnes. She received her education in the rural schools of Saluda, SC and at the Bettis Academy of SC. Mattie confessed Christ at an early age and was baptized at Poplar Branch Baptist Church. She was baptized a second time in 1985 in the river of Jordan during her travel to the Holy Land in Jerusalem. 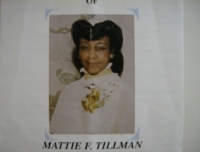 Mattie later moved to New York, where she joined Union Baptist Church in Hempstead, NY under the leadership of the late Reverend Lonnie Thompson. In 1935 she was united in holy matrimony to the late Benjamin Ryan Tillman to whom she was married for over 50 years. Establishing residency in Jamaica, NY, Mattie united with Amity Baptist Church under pastorate of the late Dr. James R. Moore. Mattie served untiringly at Amity Baptist Church. She was a dedicated member of the Usher Board for over 60 years and attended Day Time Christ Time often. She was employed for over 25 years at Emerson Television Co. and worked for New York Metropolitan Transit Authority from which she retired. Mattie was a dedicated civic worker and served as a Vice President of the Merrick Concerned Neighbors Association and Vice President of the 109th Avenue Block Association in Jamaica, NY. She was also a long standing member of the Liberty Civic Association. The fifth in a family of eleven, David was born February 10, 1901, to the late Davis John and Martha Foulks Barnes of Saluda, SC. He was united in Holy Matrimony to Ella Mae Lott Barnes who preceded him in death in 1985. To this union, 12 children were born, four children preceded him in death; Louis, Eugene, John, and an infant girl. David received his early education in the public schools of Saluda, SC. He was a farmer and a carpenter by trade. He also worked at the saw mill, which was family owned, and as a baseball manager. At an early age, David accepted Christ and joined the Poplar Branch Baptist Church, where he served faithfully as a devoted member and deacon until he became disable. He was the leader and president of the Senior Choir for many years, Sunday School Superintendent, Sunday School Teacher, church clerk, president of the Friendship Usher Board Union for 25 years, president of the Baptist Singing Convention for 25 years, secretary of the Mt. Alpha Educational Union and president of the Sunday School Revival. He was a member of many civic organizations. He was a long time member of the NAACP, served on the board of Farmer's Home Administration, and was active in politics. David was a humanitarian, he devoted his life in helping humanity. He could always be found talking to both young and old, giving advice, and speaking words of wisdom. He never met a stranger and considered every man valuable. His favorite saying was, "No matter how good a man is, there is some bad in him; and no matter how bad a man is, there is some good in him." David sought to bring out the best in all men. He spent his summers transporting boys and girls to and from the peach orchards, that they may have summer jobs. He worked hard and long hours giving of himself for humanity. 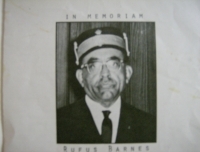 Rufus Barnes was born on September 5, 1910 in Batesburg, SC to the late Davis John and Martha Foulks Barnes. In 1931, he moved to Washington, D.C. He attended public schools in Batesburg, SC and at an early age joined the Ridge Branch Church in Saluda, SC. He served as a Trustee at the Lincoln Temple United Church of Christ and was a member of the trustee board, Trust Plus, and September Calendar Clubs of Plymouth Congregational Church at the time of his death. He was also active in community affairs and faithfully supported his wife in all of her endeavors at the Holy Name Catholic Church. Rufus met and married the former Mary C. Dorsey fo Helens, Maryland on June 4, 1939. They reared and cared for four devoted god-children: Theodore R. Budd, Ronald S. Harrison, Wayne E. Purcell, and Jacqueline A. Stitt. Rufus became Master Mason in Harmony Lodge #22 of the M.W. Prince Hall Grand Lodge of Washington, D.C. on October 14, 1955; 33 degree Mason of The United Supreme Council and Jonathan Davis Consistory #1 on March 24, 1961 where on Oct. 16, 1961, he became an Honorary Life Member of The United Supreme Council. 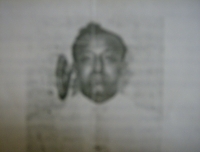 In August 1961, he joined Mecca Temple #10 A.E.A.O.N.M.S. of North and South America, Inc. (Shriners). He received metorious recognition for his distinguished and exceptional services, personal contributions of time and effort, and loyal devotions to Jonathan Davis Consistory #1 and Scottish Rite Masonry in general as a 33 degree Mason, as well as to Harmony Lodge #22 F. & A. M. and Mecca Temple #10. He retired after 33 years in business as owner of Quality Service Angle, after which time he volunteered his services as a driver for "Meals on Wheels". 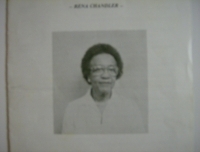 Rena Chandler was born April 13, 1906 to Davis John and Martha Barnes in Batesburg, SC. The seventh in a family of 11 children, at an early age she began a life in christian service as a member of Poplar Branch Baptist Church in Saluda, SC. She attended public school and graduated from Bettis Academy Junior College. Always knownly interested in education, she received satisfaction through fostering optimum education for children therefore she served as a public school teacher in the county of Saluda for a period of time. On April 15, 1928, she was wed to Cleveland Chandler in Batesburg, SC and approximately one year later, they moved to Hempstead, NY and unto this union two daughters were born, Doris and Dorothy. She joined Union Baptist Church which helped to mold their children in a steadfast Baptist tradition. For some 55 years, she combined her urgent interest in religion, education, and community activities to include professional organizations for which she has received many awards. She was especially loyal to her church and Pastor serving with the choir and as President for the Trustees Wives for over 10 years. As a church member serving with many organizations and committees, she pursued her tasks with diligence and enthusiasm, and attended church faithfully. Her sense of humor was unparalled and her personality and radiance always a source of strength. 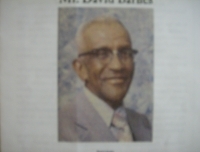 Artis Odell Barnes was born in Saluda, SC on January 14, 1930, son of Johnnie and Emma Barnes. He attended Rosenwald High School of Saluda. He married the former Vera Graham, on February 25, 1948. He was a member of the Rock Hill Baptist Church, of Saluda, SC. He migrated to Philadelphia, where he was employed as a construction worker. He was a member of the Supreme Grand Lodge of the International Free and Accepted Modern Masons, Inc. of Philadelphia. 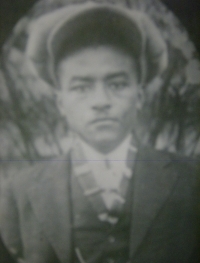 Johnnie Barnes was born in Saluda, SC to the late Davis John and Martha Foulks Barnes, on April 7, 1903. As the sixth child of 11 children, he attended Rural School in South Carolina. He accepted the Lord at an early age at the Ridge Branch Baptist Church. In 1919, he met Emma Mobley and was united in Holy Matrimony on September 13, 1922. To this union five children were born, Alberta, Rosa Lee, Johnnie Franklin, Ulysses, and Artis. They united at Rock Hill Baptist Church in 1941. Johnnie served faithfully and diligently until the Lord called him home. As a church member, he was ordained Deacon in 1949, Sunday School Superintendent for over ten years, assistant church clerk for 10 years, President of the Usher Board for six years, leader of the senior choir and sang on the senior choir for many years, and treasurer of Sunday school for many years.